The Holidays can be a stressful time of the year for parents, especially with the pressure of juggling kids, cooking, and dealing with the shopping crowds. For some prepping for the family photo is the hardest part as it is the forefront of preserving those precious memories of the holidays. Soft tones look beautiful together. 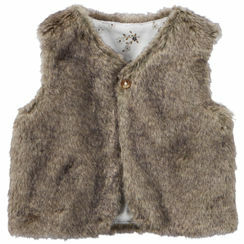 This faux fur vest can be the perfect accessory for baby girl’s first holiday season. 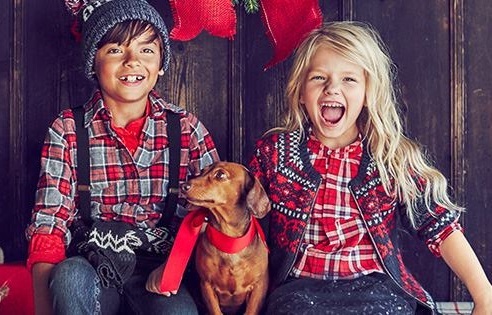 Perhaps your theme may be, “Chalet Chic” with matching furry vest for mom and keeping an earth-toned colour palette for the rest of the family. You can also accentuate your photos with bright colours and beautiful prints. 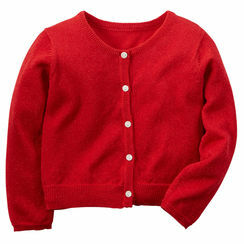 Here your little girl can be the star of the show, with both parents incorporating colours from the top into their own looks. 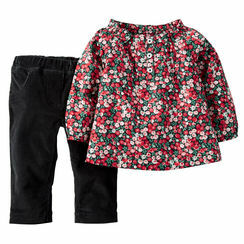 Think sophisticated forest green for dad’s sweater and a light pink or ruby red dress for mom – all inspired from baby’s floral top! The same concept can be applied with your little boy. 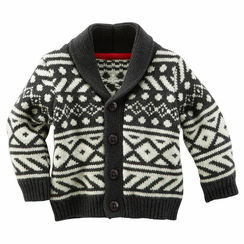 This Aztec cardigan can be a good layered option that can give you multiple looks without having to do many wardrobe changes. You can also add layers and textures to create added interest. 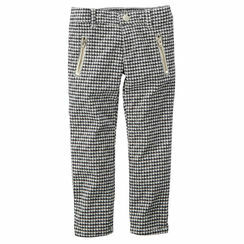 We particularly loved this skinny corduroy pant in a cute gingham print. You can complete the look with a pop of colourful brights. Festive and fun! And don’t forget, shoes matter! 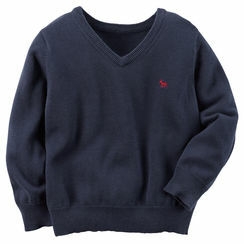 You can give a cool vibe to a classic outfit and highlight your child’s unique personality at the same time. 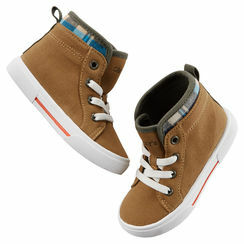 For more stylish ideas for your little trendsetter, be sure to check out OshKosh B’Gosh! Most importantly, remember the holidays is about having fun with your family. So the ultimate accessory for the best family photo will always be your SMILES! Happy Holidays!